[PDF] Self-Harm in Young People: A Therapeutic Assessment Manual (A Hodder Arnold Publication) | Free eBooks Download - EBOOKEE! Posted on 2017-12-14, by luongquocchinh. Description: Self-harm is a distressing and all too common presentation to emergency departments, and yet there is no clear understanding of what it represents, and success rates of interventions to prevent future episodes are enormously variable. Therapeutic Assessment for self-harm is a pragmatic model, developed by the authors of this book and forming an organic part of the psychosocial assessment following a self-harming incident. Its main features are that firstly, a therapeutic intervention at the time of distress, compared with a standard psychosocial history and risk assessment, improves patients' responses and their willingness to engage in further therapy, and secondly, that there is a vast range of evidence-based interventions that can be used to build a "toolkit" that individual practitioners can employ with their patients. Therapeutic Assessment is evidence-based, simple, and easy to learn, and this book presents the techniques in a clear, accessible, and user-friendly way. 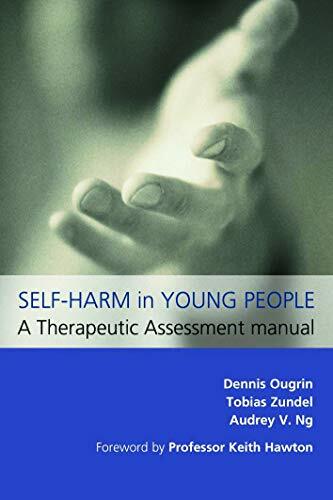 Based on extensive research, it will form an essential reference for psychiatrists and clinical psychologists, and for any health professional involved in the assessment of young people who self-harm. No comments for "[PDF] Self-Harm in Young People: A Therapeutic Assessment Manual (A Hodder Arnold Publication)".